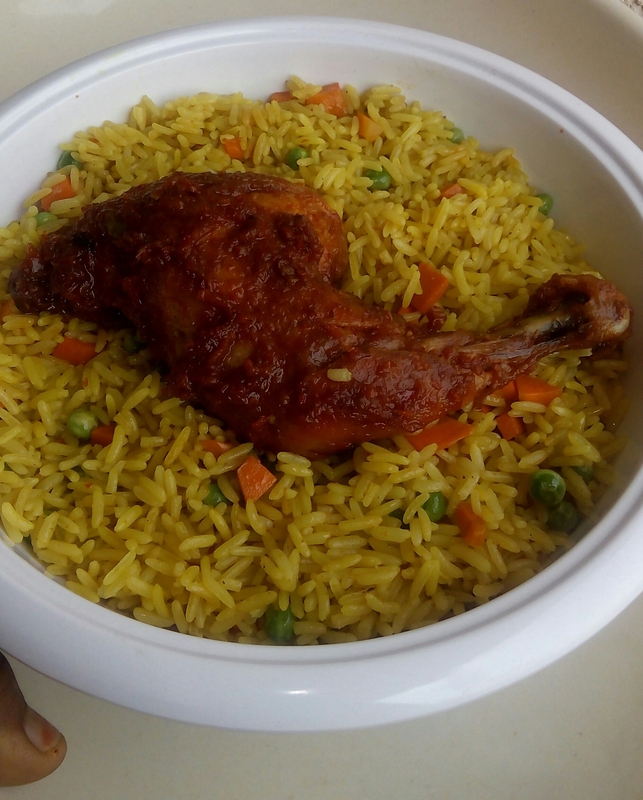 Our popular nigerian fried rice is known for its aroma and unique drooling taste,this food is often enjoyed during the weekends or during festive celebrations,its also one of my favorite dishes. 2 cups long grain rice. chicken stock or use 2 chicken stock cubes if you dont have chicken stock. parboil rice drain and set aside. cut carrots,green beans,onions,atarodo/scotch bonnet diffrently and set aside. parboil the carrots and green beans drain and allow to cool down completely. cut liver into small sizes,cook with salt and ginger drain and set aside. add chicken stock into a medium size pot or 2 chicken stock cubes into a pot of water(the stock should be enough to cook the rice properly. add the rice into the pot. add salt,curry powder, garlic powder, and two stock cubes and cook. after the rice is properly cooked allow to cool down completely. divide the rice,onions, carrots,green beans, and liver into into four equal parts. now heat small amount of vegetable in a non sticky pan with some onions. add one portion of the green beans,carrots,liver,atarodo,thyme and stir fry for 2mins. add one portion of the cooked rice into the the pot,sprinkle small stock cubes and curry leaves ( stir to incoperate very well) to your taste and stir fry for 5mins. pour the rice into a dish and repeat this procedure for the remaining three batches of rice and vegetables allow to cool down. serve with either nigerian coleslaw,peppered meat/chicken or salad.